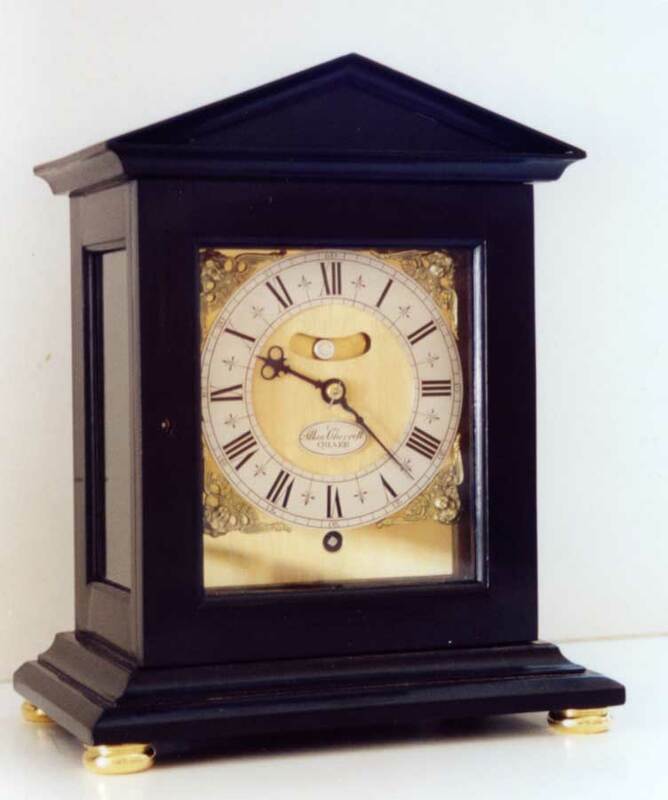 Based on a clock by Ahasuerus Fromanteel dated 1658. 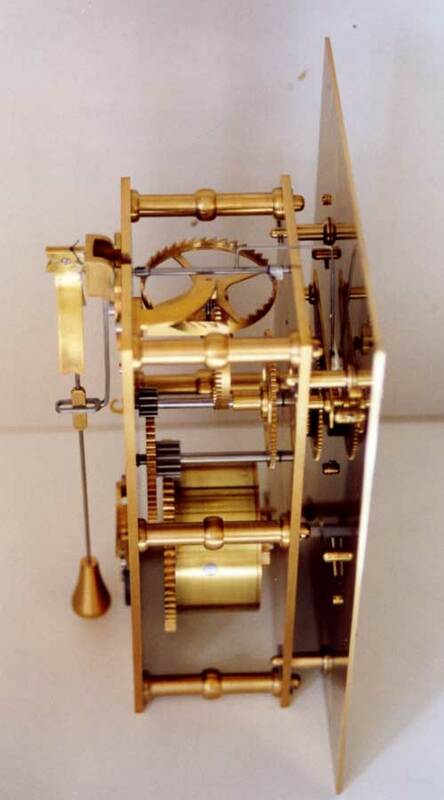 An 8 day going barrel movement with verge escapement, cycloidal cheeks & a false pendulum showing in an aperture in the dial. The drawings detail both movement & a period "Architectural" style case, austere but elegant. This clock would grace any mantelpiece.